About the very odorous "époisse", French poet Paul Valéry said "it is the smell of the feet of God"! The Raw-Milk-War : the best cheeses are made with raw milk. It gives more taste because the (good) germs are alive and well. Most foreign regulations limit or forbid it, in the name of hygiene. 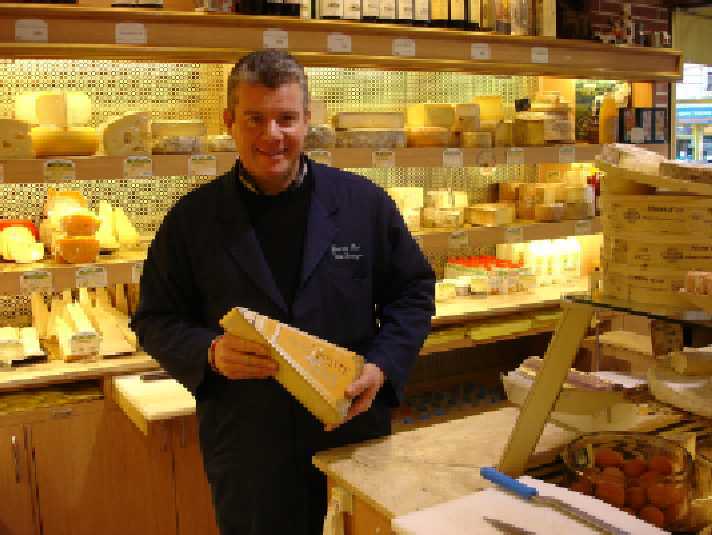 France has to fight against the European administration which, under the pressure of countries which do not have any good cheese want to ban raw milk cheese from French stomachs. This war is now almost a victory for France. 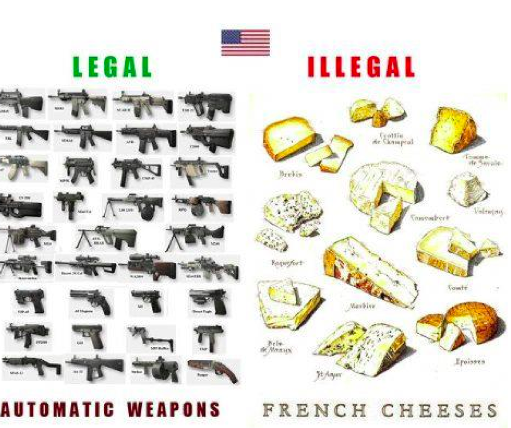 France also fights against US and Canadian regulations to be able to export its most massive destruction cheeses (M.D.C.) but this war is far from being won yet. See also the Wood-Shaving-War, the Rosé War and the Chocolate War. The French consumption is very high : 24,6 kilos/year (source : FAO-2002) compared to 15,2 for USA and 10 for UK. See detailed comparative figures. A cheese plate is not a meal : it comes at the end of "real" meal ; do not invite French people and offer them only cheese ! Depending on its shape, each cheese must be cut according to specific rules : for instance, do not cut only the blue part of blue cheese or cut round cheeses from tre center ! On cheese etiquette on the page about "French Fried : the Culinary Capers of an American in Paris"
Read the "Profile of a cheese shop owner in Paris"
Read a great book : The Best Butter, by Jean Dutourd (Simon & Schuster, 1956) is the story of an (infamous) cheese shop owner during the German occupation. You'll learn a little bit about cheese and a lot about history. About French-bashing, read about "cheese eating surrender monkeys"
DID YOU KNOW THAT...? In Paris every years, there is a contest between local bakers : "Who makes the best baguette?". The tradition is that the winner becomes, for a whole year, the supplier of the Elysee palace and of the President of France. Are French cheeses dangerous ?